First, let me tell you that I intend to have a pot available on ebay at all times. Many will be no reserve. I suggest you keep and eye out on my updates because there is a good chance pieces you see will eventually turn up at auction. I also suspect that since I don't have much of an ebay presence at the moment, it might behove you to buy now. I am listing the first piece in the next tweve hours- a very sweet little gourd. I am also selling other art objects. There are goodies listed now. Bookmark this link. 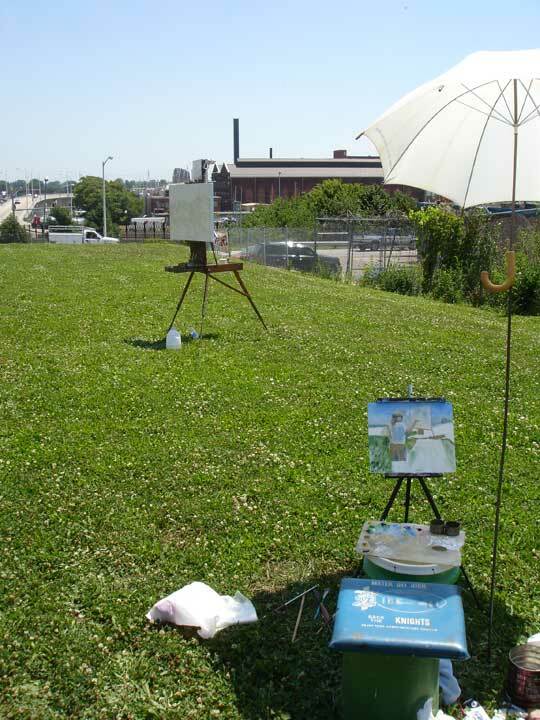 I decided to go out painting with four friends once a week for the summer. I'm no painter, but I can do OK if I take my time. But after sitting in the hot sun this particular day, it became painfully obvious that I should be in the studio making pots. I have not been productive enough in the last few months and suddenly spending a day painting seemed frivolous. One of the guys- my buddy, Rob. 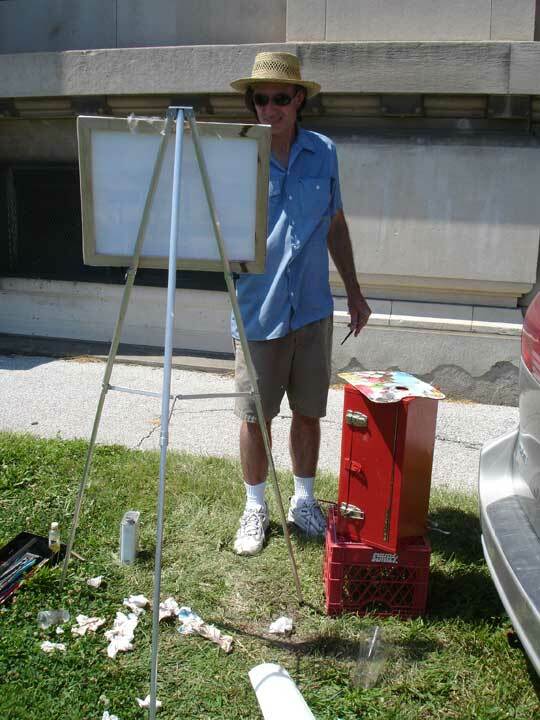 Now we are talking about taking off and going on a canoe trip to paint in the Ozarks of Missouri. For that I think I would paint instead of pot. 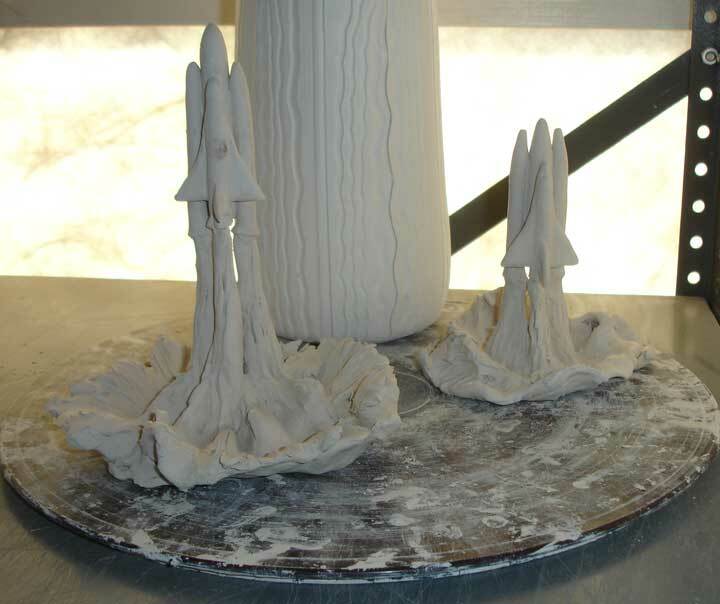 A couple of space shuttle sculptures for people that helped me obtain some photographs from the Johnson Space center. 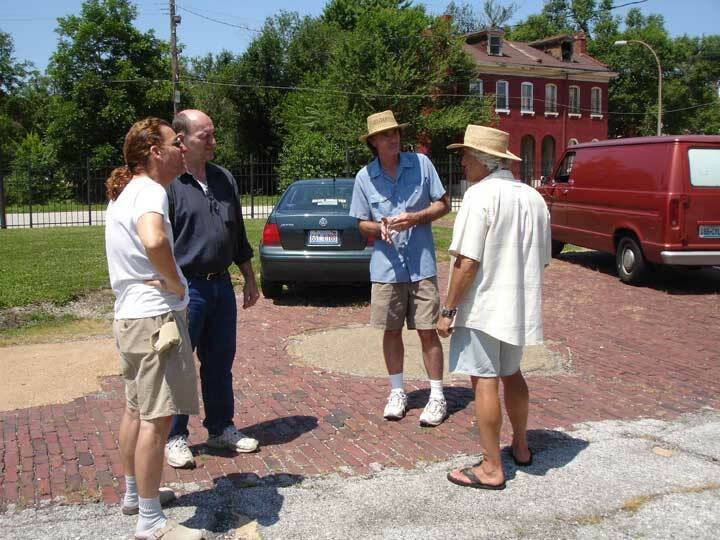 It is a long story, but if you are interested in collecting space photos, give me a call at 314-504-7136. Ahhhh, the joys of summer. Now this I should be painting. 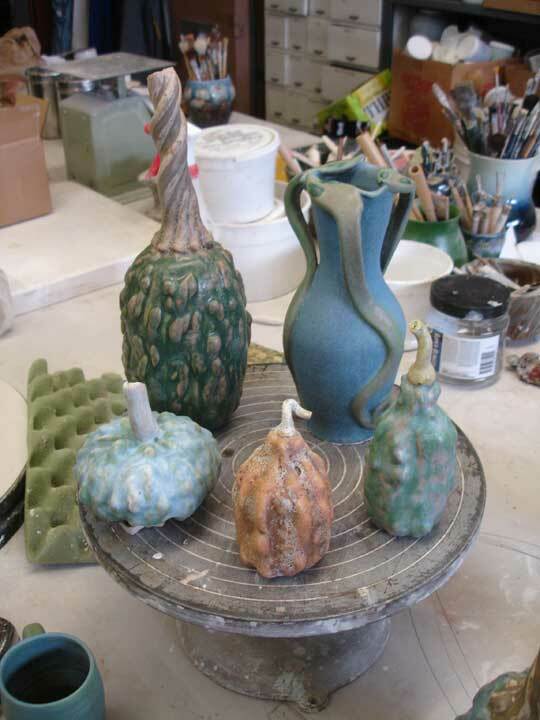 I decided I needed a new glaze line for my gourd pots. 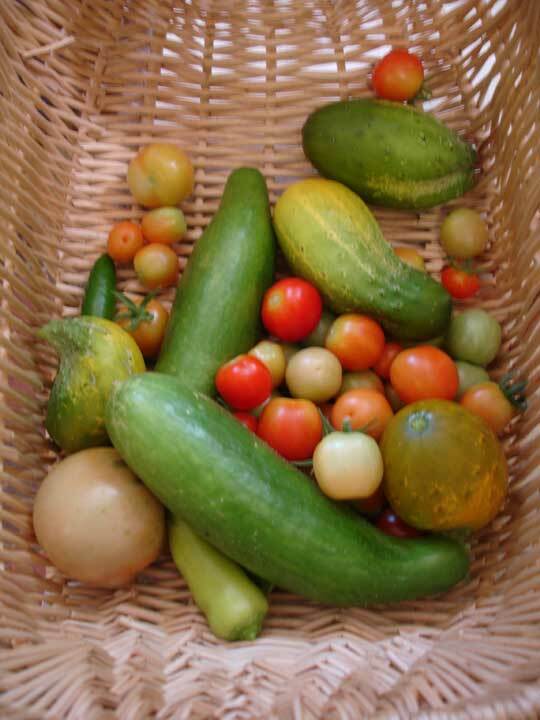 Here are some of the results. Which I love! Thick and lively surfaces. Yummy. A few pots glazed up and ready for the kiln. 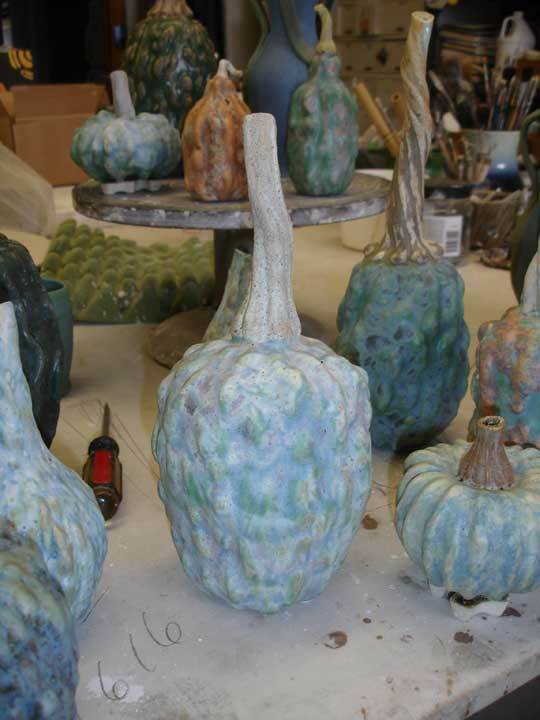 Some gourds awaiting the new glazes. 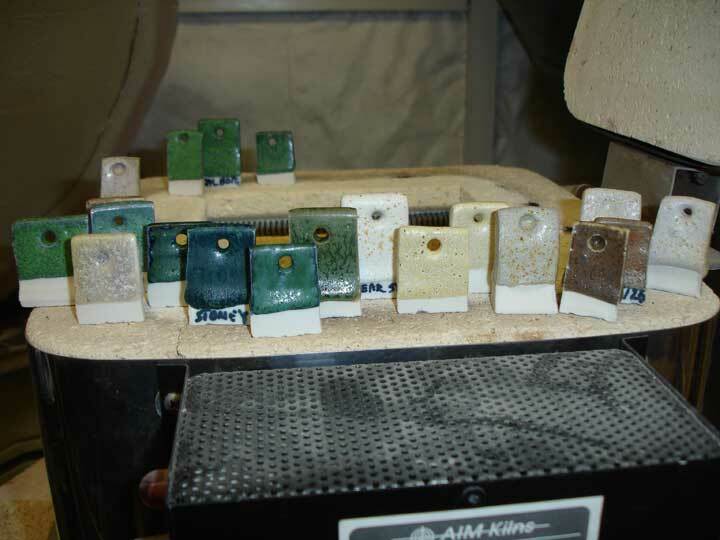 A few pieces after being fired. I fired up 20 pieces and was generally disappointed with the results. I decide to reglaze the entire load. 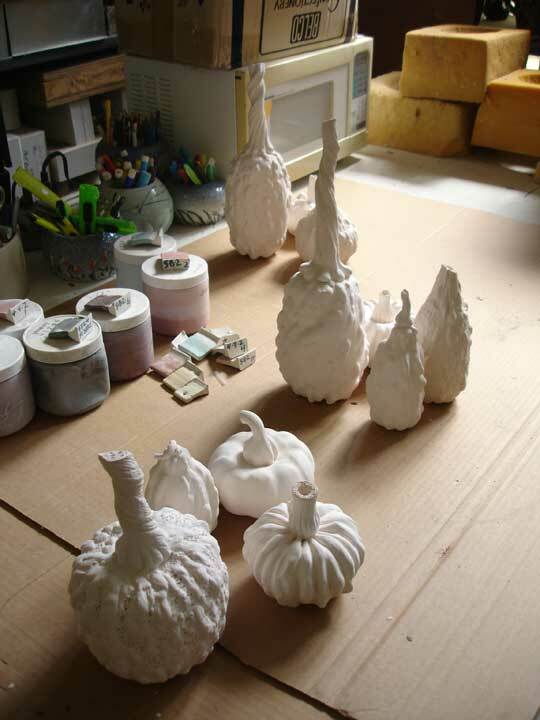 These are some of the results of the second firing. Half of these pots will go back in for a third firing. As beautiful as this one is, it is getting another layer of glaze and going back in the fire.